Hudson Taylor was a 19th-century British missionary who spent 51 years in China. On one voyage as they neared the channel between the southern Malay Peninsula and the island of Sumatra, Taylor heard an urgent knock on his stateroom door. He opened it, and there stood the captain of the ship. “What can I do?” asked Taylor. Hudson Taylor made a great point about faith. It issues itself in action. Faith works. Faith is evidenced in practical ways that demonstrate belief in God and His Word. 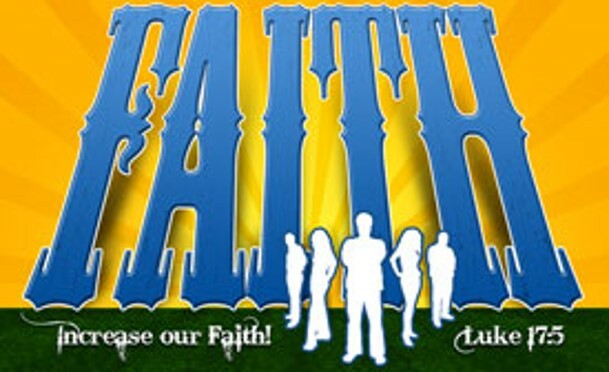 In Luke 17:5 “The disciples said to the Lord, Increase our faith.” What caused them to make that request? In the previous verses, Jesus issued a very difficult command. It takes faith and courage to rebuke someone when they have sinned. When I must seek the restoration of a brother who has wronged me, it is good to pray, “Lord, increase my faith.” Give me the strength I need to do this with meekness and humility. Faith can be increased through the Word of God (Rom 10:17). Get into the Word. Read it. Study it. Reflect on it. Drink deeply from its wellspring of wisdom. Through it your faith will be strengthened. Coupled with God’s Word, faith can be increased through prayer, fellowship with other Christians, and weekly worship on the Lord’s day. When we deal with life’s obstacles, heartaches, and doubts, let us echo the words of William Bathurst.